Great prizes to be won! Health Screening Package worth $30 for all participants. 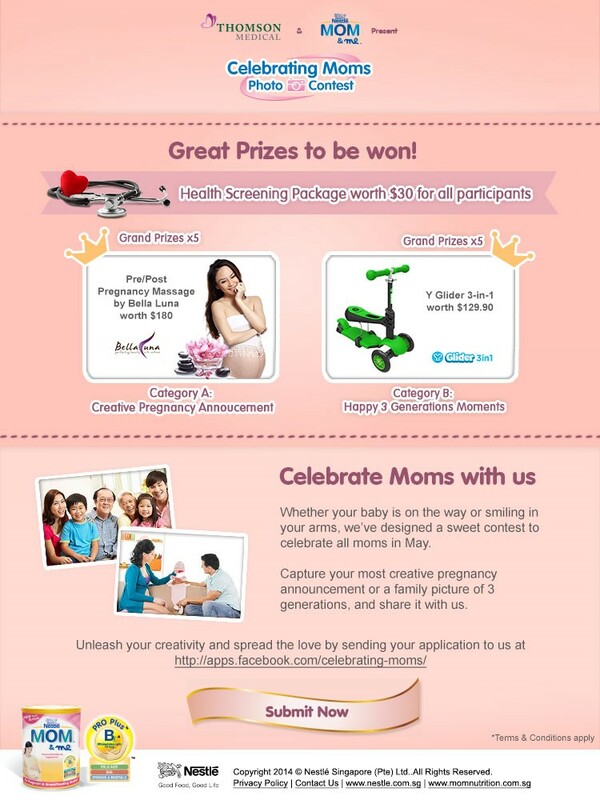 Whether your baby is on the way or smiling in your arms, we’ve designed a sweet contest to celebrate all moms in May. Capture your most creative pregnancy announcement or a family picture of 3 generations, and share it with us. Unleash your creativity and spread the love by sending in your applications to us.